Flooring trends don’t change nearly as often as fashion (thank goodness), or even other home decor, but we are in a period of evolution thanks to advancing technologies. Think about how quickly we went from flip phones (please tell me you remember flip phones!) to smartphones — that is what’s happening with flooring technologies. We can now do more than ever before with lookalike flooring options and low maintenance flooring options. In this post, we’ll take a look at broader flooring trends; looks that are in style for nearly all types of flooring. Don’t worry! If you want something a little more specific, we’ve got you covered. Check out our specific trends pages to find out exactly what you’re looking for. There are lots of flooring trends going on this year. If you’d like a glance at the 5 hottest flooring ideas, here’s a quick rundown. Wood-look flooring. This isn’t new to 2019. 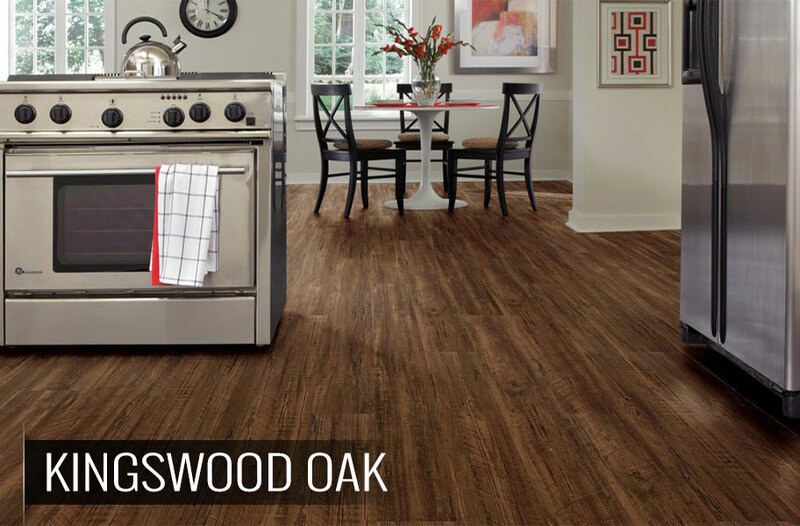 Wood-look flooring in laminate, vinyl and ceramic tile has been hot for years now. In fact, it’s been the #1 flooring trend 2 years in a row now, with no end in sight. Waterproof flooring. For years, tile was really your only waterproof flooring option. But! It’s 2019 – that means you can now purchase waterproof vinyl, laminate and even carpet. This new feature is a dream for busy homeowners, families and pet owners. Textured flooring. 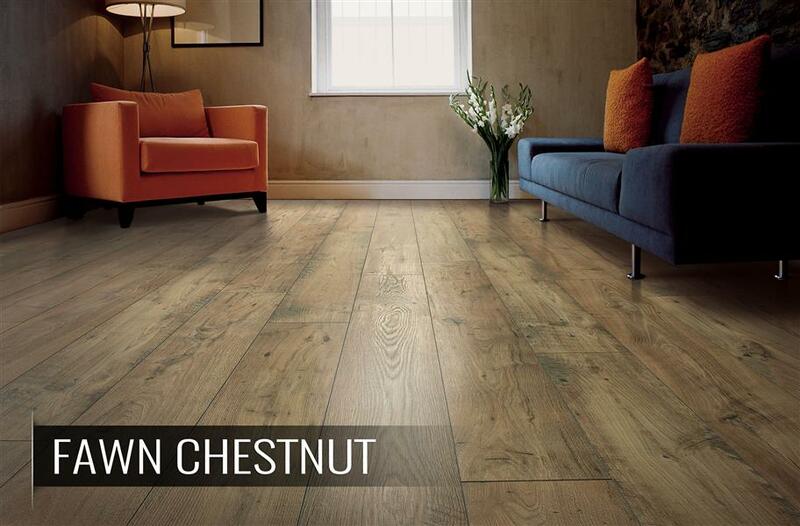 Mimicking classic hardwood, you’ll see handscraped, wirebrushed and fully distressed floors in wood, laminate and more. Environmentally-responsible flooring. Beyond looks, in 2019, homeowners want to know where their floor came from. Using natural, renewable, recyclable and home-grown materials is huge right now. Blonde flooring. Don’t worry; gray is still big! Blonde is just also in and it’s making a huge splash. 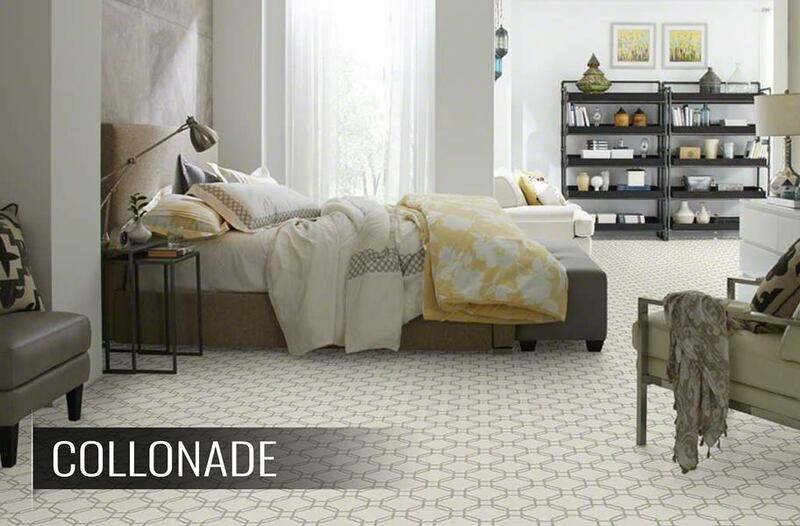 Light, airy, blonde flooring works with just about any decor and instantly makes your room look bigger. “We predict that there will be three main themes in the home décor arena: exploring the possibilities of innovative technologies, celebrating alternative and organic materials, and looking to make more personalized and unique designs. In flooring this will translate with a resurgence of eco-friendly materials such as marmoleum and cork, and the use of parquet style planks to achieve more personalized patterned flooring. “Tiles continue to be larger and get larger. 12×24 inch tiles are still popular, but there are tiles as large as 24×48 inches. 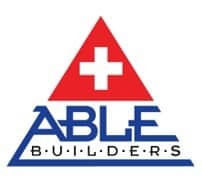 They are available with realistic types of stone, such as marble, limestone, travertine, and etc. The concrete looks has become popular as well. The wood look is still strong and the tile planks are getting as long as 48” at various widths. 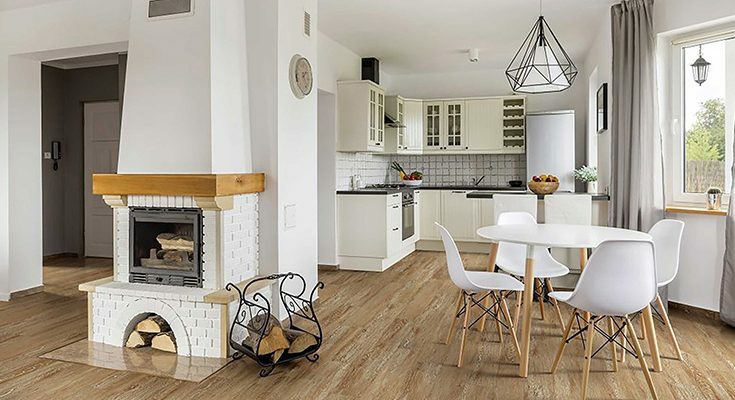 With ink jet technology the tiles give a very realistic wood or stone or concrete looks with the durability and maintenance benefits of porcelain tiles. The thin tile panels/slabs is a relatively small segment of the tile industry, but it is a fast growing segment. Porcelain tiles are as large as 5×10 feet and can vary in thickness from 1/8” to 3/4”. It is a more difficult tile to install and there is a shortage of qualified and experienced installers to install it. With ink jet technology the tiles give a very realistic look of the various types of marble, limestone, concrete, and other types of styles and looks. Rectangle subway tiles are still popular and more options in more sizes will be available in 2019. The encaustic decorative tiles have become more desirable. 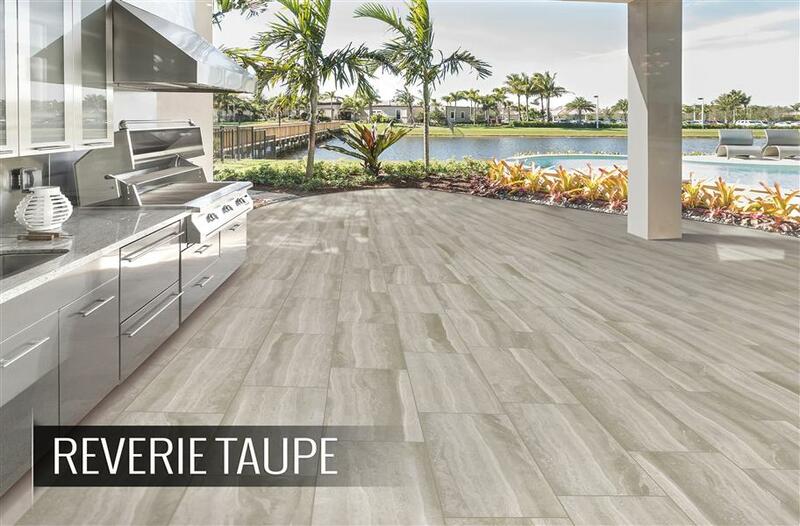 They are available in both the traditional concrete materials, and are now becoming available in porcelain tiles that are thinner, more durable and less expensive. Glass tile is still going strong. There are more larger size glass tiles with some as large as 24×24 inches. There are many options of mosaic glass tiles that come in various shapes as glass tile liners and as field tiles.” – Donato Pompo, Ceramic Tile and Stone Consultants, Inc.
“There are so many amazing options in the laminate flooring world that were not available to us even ten years ago. 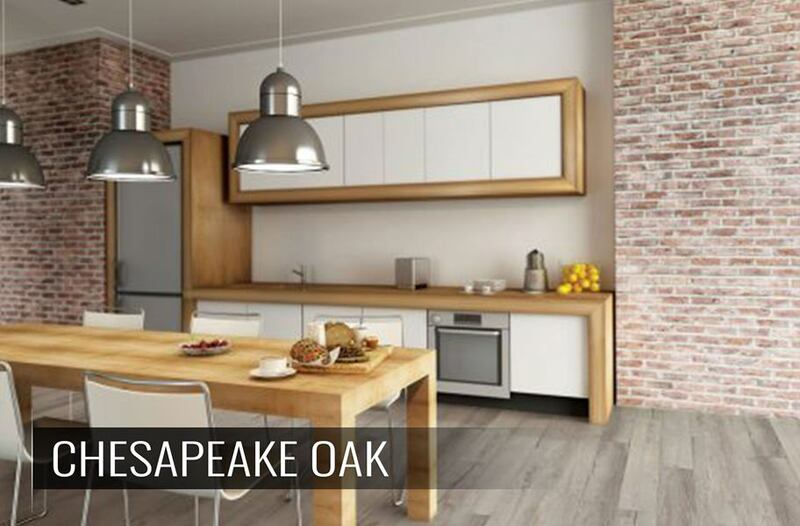 The hottest styles that we are seeing in our firm are lighter colors, wider planks and styles that look like wood with a rustic texture. Laminate has come a long way since it first came out and most people can’t even tell it isn’t real! “The race to the bottom (price wise) is over. It’s now time for manufactures to stay focused on making better looking product lines. This is sure to be the year for more realistic visuals. Better technology is constantly being created and used to make vinyl flooring look more like real hardwood. “Shaw Floors’ latest and greatest styling techniques for all our soft surface offerings focus on a plethora of design elements – color, pattern, texture, plushness – in addition to the expansion of our exclusive waterproof backing, LifeGuard, providing the cleanest carpet for healthy living. 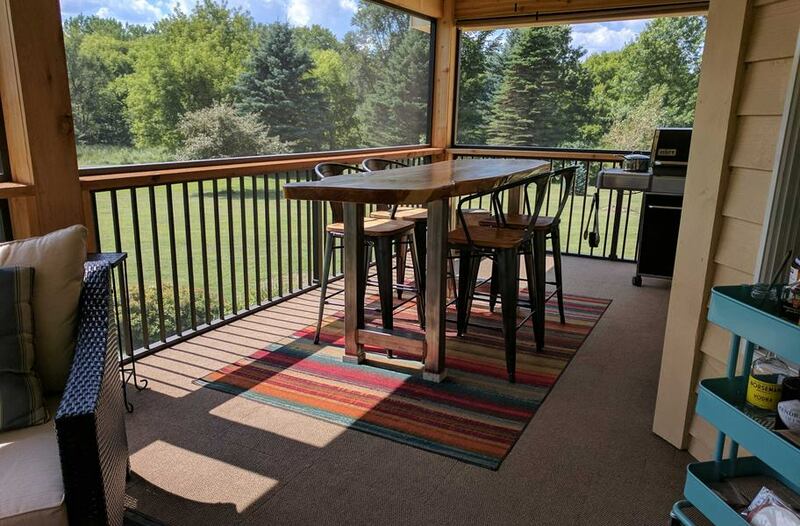 At Shaw, we believe your flooring should fit into your lifestyle and we want consumers to get the carpet styles they love complete with the backing option that makes sense for their life. Shaw has made significant investments recently in fiber innovation projects to stay on-trend with consumer preferences. Consumers want a stylish, high-performing carpet that complements their uniquely curated living spaces and demand both design and function in a variety of price points. For consumers, the rise of technology, via social media and other lifestyle influencers, has made them more savvy shoppers. Consumers today are in control of the buying experience and are driving industry expectations. If we as manufacturers aren’t listening to what consumers are telling us, and making the products they want, we aren’t using technology to our advantage.” – Tim Braten, Shaw Inc.
“I always pick “trends” that I think will have longevity in the marketplace. I see Vinyl being the new “go to” flooring. 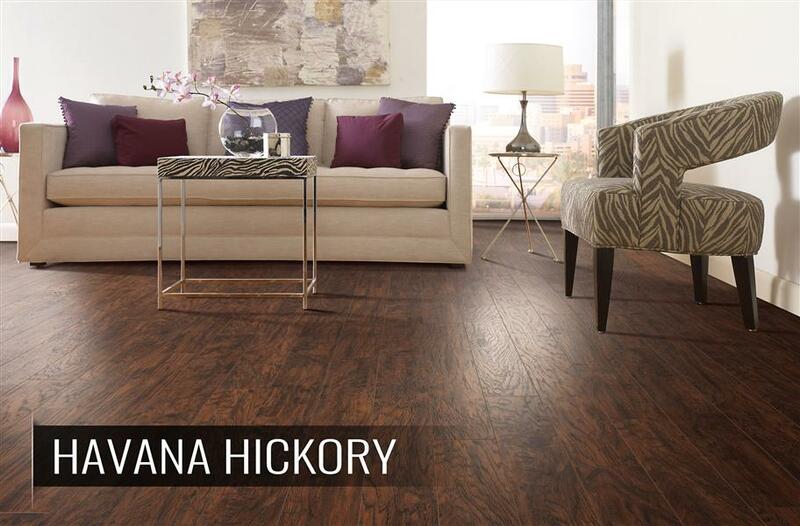 The new vinyl plank floors off the visual beauty of a hardwood floor with unparalleled durability. These can be 100% waterproof and will hold up under a lot of conditions. 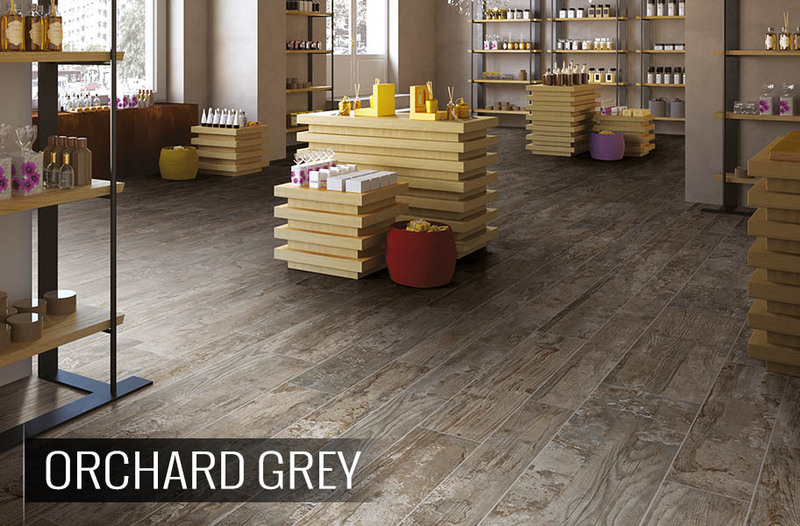 Elongated tiles or planks have made a splash and are here to stay. 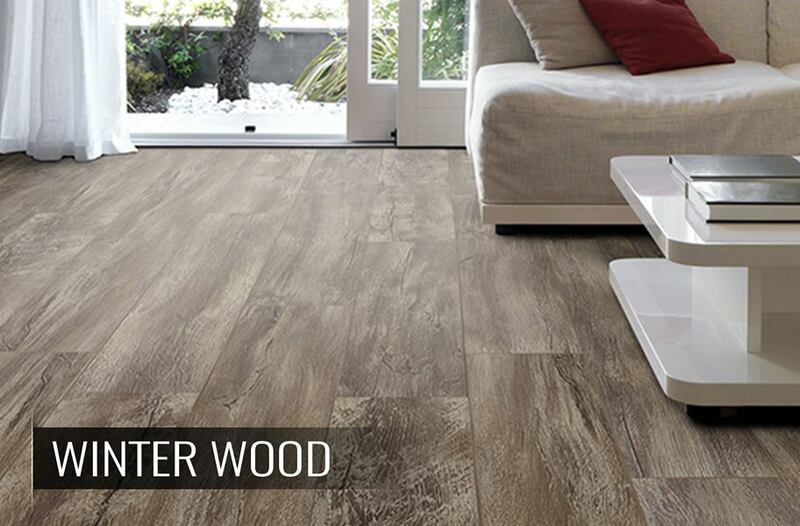 If you are picking wood looking tiles, real wood, laminate, or vinyl your best best is 6-8” wide and 24’-48” long. The big focus in flooring this year is on ease and ethics. Not necessarily the most common combination, but both are pretty darn relevant to our current generation. We want things to be effortless. We’re busy, we’ve got our lives and things to do and spending hours whispering sweet nothings to our floor is not one of them. On the other hand, we’re starting to care about how things are made, where they come from. 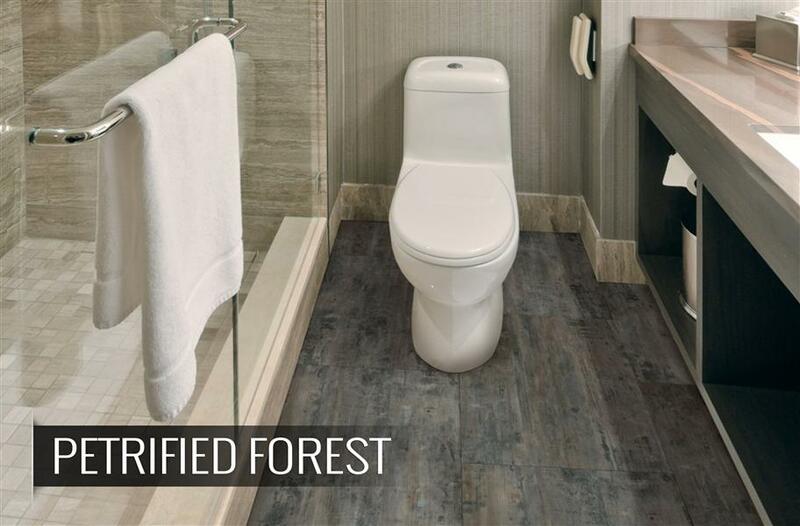 The 2019 flooring trends echo this with plenty of waterproof, recycled and American-made flooring options. 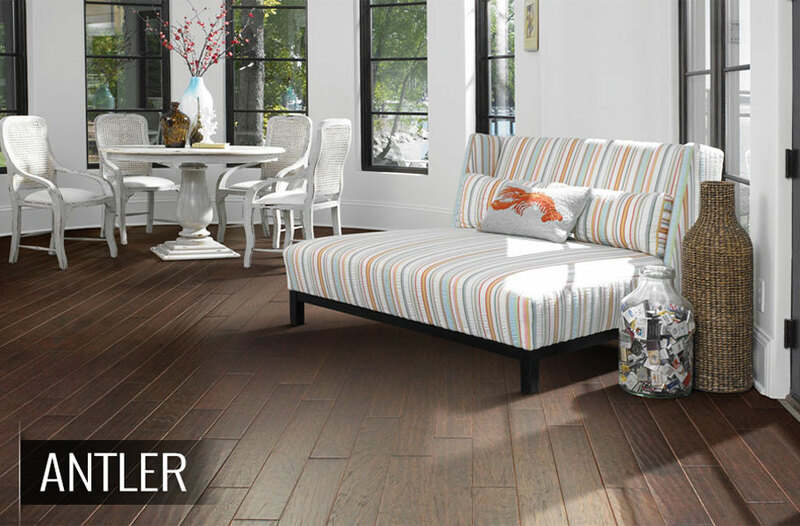 This year’s #2 flooring trend! The thing is, it used to be that if you wanted waterproof floors, you had an incredibly small selection to choose from. However, waterproof is the big thing right now and you can now choose waterproof flooring in vinyl, laminate and even carpet. Check it out. Okay, I know, I know, we’re not supposed to choose favorites, but this stuff is SO COOL! Yes, the all-caps kind of cool. Over the past several years, there has been a huge surge in WPC (AKA Wood Plastic Composite AKA WaterProof Core) vinyl flooring. 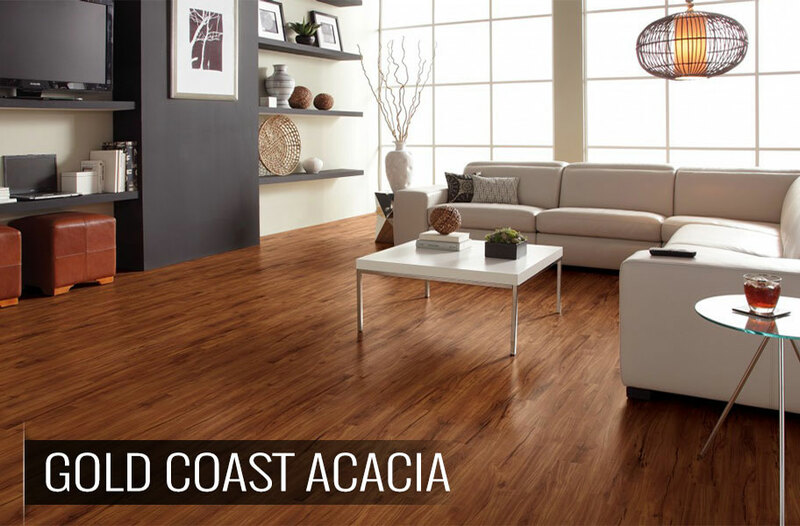 In short, WPC vinyl is luxury vinyl planks or luxury vinyl tiles that are 100% waterproof. WPC vinyl planks usually resemble an upscale laminate floor, giving a modern, convincing wood look. Basically, WPC vinyl is the best of all worlds for your kitchen floor. Expect to see WPC vinyl floors following all the hottest wood trends, including handscraped and distressed looks, large planks and more. You guys! I am so excited to tell you about waterproof carpet. I don’t know about you but those are two terms I never thought I’d see together. Of course, there has been a pretty big movement in waterproof outdoor carpet over the last decade, fully waterproof indoor broadloom carpet has been unheard of. Although Shaw is leading the pack for the time being, my hunch is that other manufacturers will jump on board and, within the next decade, you’ll see waterproof carpets all over the place. Solid hardwood can be a lot of things, but waterproof ain’t one of them. The waterproof flooring trend is taking the world by storm, particularly with the influx of waterproof vinyl (WPC) flooring on the market. I gotta be honest, WPC has been a hard break for laminate flooring. You see, laminated wood flooring originated as the easy-maintenance, worry-free “wood” flooring option. But then WPC came along and tried to steal its thunder. And if you’ve ever installed traditional laminate in a water-prone area, you know it’s not the best choice. If you spill water and don’t clean it up right away, your laminate can warp and bubble. Although many homeowners have gone the laminate kitchen flooring route, it’s really less than ideal. Enter: waterproof laminate flooring! This still up-and-comer is rare and can be hard to find, but it is exactly how it sounds: DIY-friendly laminate flooring that is 100% waterproof. This means you can install it in kitchens, bathrooms, basements, you name it. Even better – waterproof laminate floors mimic all the current look and style trends of solid hardwood and traditional laminate, giving you everything you could ever ask for in one sharp floor. The recycled flooring trend is hot all around this year. Carpet is at the forefront of this movement, but it is happening across other types of flooring, as well. We’ve reached a time where the young homeowner demographic is comprised, primarily, of millennials. And, not to pigeonhole an entire demographic, but as a group, millennials tend to care a lot about the brands they purchase from and how their purchases impact society, the environment and more. 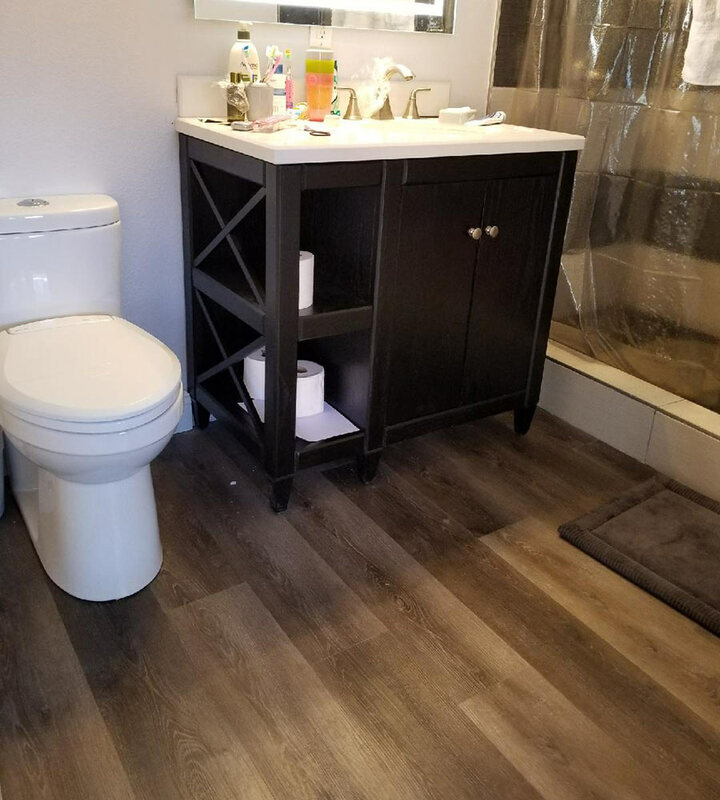 It’s not enough to sell gorgeous floors at a low price. Manufacturers and retailers alike need to bring something likable and respectable to the table. You’ve seen that Dawn commercial with the little bird and their soap, right? That is the stuff people care about these days. And with the ability to reduce our carbon footprint using recycled materials, to not jump in headfirst would just be irresponsible. Because “green” or eco-friendly flooring is so big right now, almost all carpet is now being made from recycled materials, at least in part. You’ll see various types of recycled materials, but one of the most innovative ideas are the Foss PET carpet tiles. These unique carpet tiles are made using recycled plastic soda bottles. Pretty neat, huh? And, manufacturers are making strides in making the carpet itself more recyclable saving the landfills from a portion of the 3.5 billion pounds of carpet tossed each year, according to Fast Company. Mohawk is currently leading this movement, but I have a hunch the other manufacturers will jump on board. Additionally, you will see lots of recycled and reclaimed hardwood flooring and other hard surfaces using natural and recycled materials. And, don’t forget about natural, renewable sources. Cork and bamboo are excellent environmentally-friendly alternatives to solid hardwood flooring. Without getting too political here, American-Made is a hot and controversial topic right now. The desire for homegrown and American manufactured products extends beyond traditional items to flooring and home decor. In fact, some homeowners will pay top dollar for that title. My brother is one of them. He searched high and low until he found a flooring that was wholly manufactured in the United States. And he’s not alone.